As the communiqué from the Pittsburgh G20 summit put it, “it worked”. Unprecedented macro-economic stimulus in the form of ultra low interest rates and large government deficits has pulled the global economy back from the abyss, at least for now. But what comes next? Conventional economic wisdom is setting the stage for deep and damaging cuts to public expenditures if labour and the progressive left do not win the argument for public investment led growth and increased fiscal capacity. Now is definitely not the time for a quick return to budget balance. Not only is the recovery very fragile, interest rates are likely to remain low. This means we can finance public expenditures which create jobs now while raising our productive potential and the future tax base. Debt incurred today to create a larger economy tomorrow is no burden on future generations. The IMF, the OECD and most governments accept that stimulus should continue a bit longer while awaiting convincing evidence of a sustained revival of private sector demand. But spending cuts are clearly on the agenda. Citing the need to stabilize public debt in the context of rapidly ageing societies, the International Monetary Fund recently (November 3, 2009) painted a grim fiscal outlook for the advanced industrial countries, calculating that the primary budget balance (the surplus of revenues over program expenditures) will have to be increased by a hefty 8 percentage points of GDP from 2010 levels to bring government debt down to a tolerable 60% of GDP by 2030. The conventional view is that this move back to balanced budgets will have to come much more from deep cuts to public spending than from tax increases. The dominant view is that both fiscal and monetary policy should tighten over what already promises to be a very sluggish recovery. That is a pretty dismal prospect. It translates into continued very high unemployment and substantial slack in the economy. Operating below capacity means low levels of public and private investment, which in turn lowers the potential for future growth. In human terms, an economy bumping along bottom means no jobs for young people, rising inequality and rising poverty. Moreover, fiscal retrenchment will translate into an unwelcome combination of public sector job cuts, cuts to public services and cuts to income support programs, all of which are central to the well-being of working people. 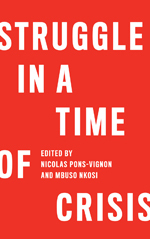 Workers face the imminent prospect of paying for the economic crisis twice, first in the form of job and wage losses, and second in the form of cuts to the already inadequate public services and social programs which existed in most countries before the recession. While interest rates should remain low, there are major problems with any combination of fiscal austerity and loose monetary policy. Ultra low interest rates and major injections of liquidity into the banking system are already fuelling new financial asset price bubbles. Led by major institutional investors, the shift back into equities and other assets has got well ahead of any recovery in the real economy. Meanwhile, low interest rates alone will not revive private sector demand. In most advanced industrial countries, especially the US, the UK and Canada, households are already deep in debt. Because of global over-capacity and unbalanced trade with Asia, real private sector investment in the advanced industrial countries is likely to remain very depressed. Thus fiscal austerity combined with monetary ease will not fix the underlying problem of stagnation. One way out of this problem is to more closely control the credit process. We could and should be limiting highly leveraged financial investments and controlling unsustainable credit flows. The other way out of the problem is to run productive fiscal deficits to ensure that the impact of low interest rates is felt through higher public investment. It is desirable that the overall credit creation process should be driven by investment rather than by speculation and debt financed consumption and, under today’s circumstances, this requires high levels of public investment. Now is the time to launch major medium and long term public investments to drive job creation, and also to create new investment opportunities for industrial sectors which remain in deep crisis. We must address long-standing investment deficits in basic municipal infrastructure; build new urban and inter city transportation systems; invest in energy conservation; dramatically expand non-carbon based energy sources; expand basic public services such as not-for-profit child care and elder care; and invest much more in public education at all levels as well as in workers’ skills. Well selected investments can yield very high rates of return on a number of fronts. For example, investment in transit and passenger rail can have large positive job impacts, significantly cut carbon emissions, and also generate high rates of return to individuals and businesses in terms of reduced travel time and reduced road congestion. We know that all of these investments – especially those in public services and energy efficiency – are labour intensive and create many more jobs than increased consumer spending, and simultaneously promote our environmental, community development and social justice goals. What we need is a period of public investment led growth to drive the whole economy. Good public infrastructure and good public services are key drivers of private sector productivity. Public sector investments drive investment by private sector suppliers, especially if twinned to coherent industrial strategies. The key point is that deficits can and should be incurred so long as they are twinned to public investment programs which can be demonstrably linked to increasing overall economic potential and to furthering environmental and social goals. The challenge for labour and the left is to move from talking about temporary “stimulus” to promoting a pro active, longer term public investment agenda. But how are we going to pay for major new public investments when deficits and debts are, supposedly, already too high? In the short-term, low interest rates make viable a huge raft of potential public and environmental investments which will more than pay for themselves over time. In the longer term, a decade and more of expensive and wasteful tax cuts mainly in favour of corporations and those with very high incomes means that there is ample room to increase government fiscal capacity to balance budgets without cutting spending, and without undermining the living standards of working people. Labour and the left have to recognize that decent levels of public services and social programs ultimately have to be paid for from a high, comprehensive and fairly flat tax base including consumption and payroll taxes. If we want Scandinavian type welfare states, we will have to pay Scandinavian level taxes as a share of GDP. This reality is often ignored at our peril. In low tax countries like Canada, the US and the UK, we have to make the argument that we are all better off if we enhance fiscal capacity by raising money from a comprehensive tax system, and spending the proceeds on a broad array of equalizing public services and social programs. We have to make the case for a shift from private consumption to public services and public investment, rather than pretend we can deficit finance permanent increments to the social wage. To be sure, we also need to enhance the progressive elements of the overall tax system. We could and should gain useful amounts of revenue by levying higher rates of income tax on the very affluent. True, the rich are few in numbers, but they do have a high and rising share of personal income in most countries. This should be reduced by raising their taxes and redistributing the proceeds as equalizing transfers. Corporations could also pay more, though there is a case for redirecting higher corporate tax revenues into more effective ways of supporting real economy private investment rather than into general revenues. The G20 agenda should include co-ordinated upward harmonization of taxes on all forms of capital and on high incomes, as well as a financial transactions tax which would hit unproductive but highly profitable financial sector hyper-activity. To conclude, we will soon be entering a major debate in most countries over the pros and cons of fiscal austerity. The right will argue that we need to cut quickly and deeply in the name of future generations. Our argument has to go beyond the need for temporary “stimulus”. We must call for a deliberate strategy of public investment led growth, and the gradual enhancement of fiscal capacity to pay for a more equal society. Andrew Jackson is Chief Economist and National Director of Social and Economic Policy with the Canadian Labour Congress (CLC), where he has worked since 1989. He is also a Research Professor in the Institute of Political Economy at Carleton University, a Research Associate with the Canadian Centre for Policy Alternatives, and a Fellow with the School of Policy Studies at Queen’s University. 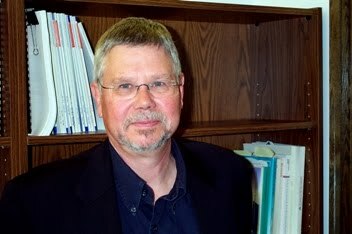 He has written numerous articles for popular and academic publications, and is the author of Work and Labour in Canada: Critical Issues, published by Canadian Scholars Press (2005).